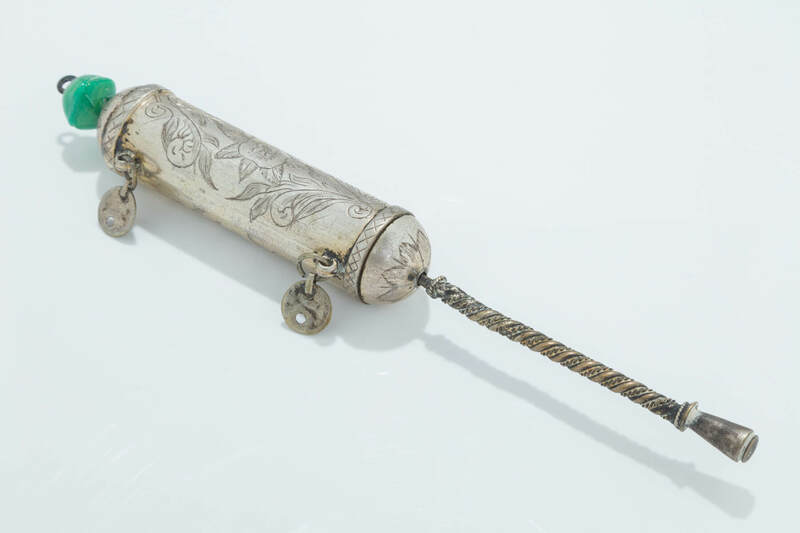 A SILVER MEGILLAH CASE WITH ORIGINAL MEGILLAH. Ottoman Empire, c. 1880. The handle made of ornate twisted design. Main portion tubular and engraved with floral and leaf design. Fitted with plaques and topped with a green stone. 8.5” long.